I guess that's a general lesson in life. Never stop asking questions and never stop learning. I've found that whether I'm learning something for the first time like learning to fly on my head in the windy room just south of Denver, or if I'm teaching a skill that I've had in my back pocket for a while to an old friend, just being able to share one of your passions in life and watching them soak it in is an amazing thing. Watching someone take that knowledge that you've put out there, process it, comprehend it, and put it into action is a rewarding experience to say the least. Most of the time, you end up learning something just in the process of sharing. 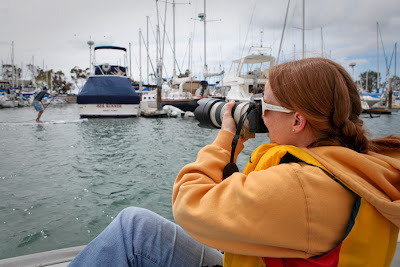 So when the rains came in to Elsinore this weekend and the jumping was called for the day, we headed down to Dana Point and picked up the cameras. 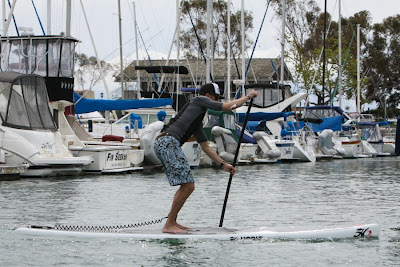 Class was in session, and why not take it out onto the water?